Today's card features the Boxwood Wreaths Embellishments that I was unsure of at first, however after having a little play I can see why they are so popular! 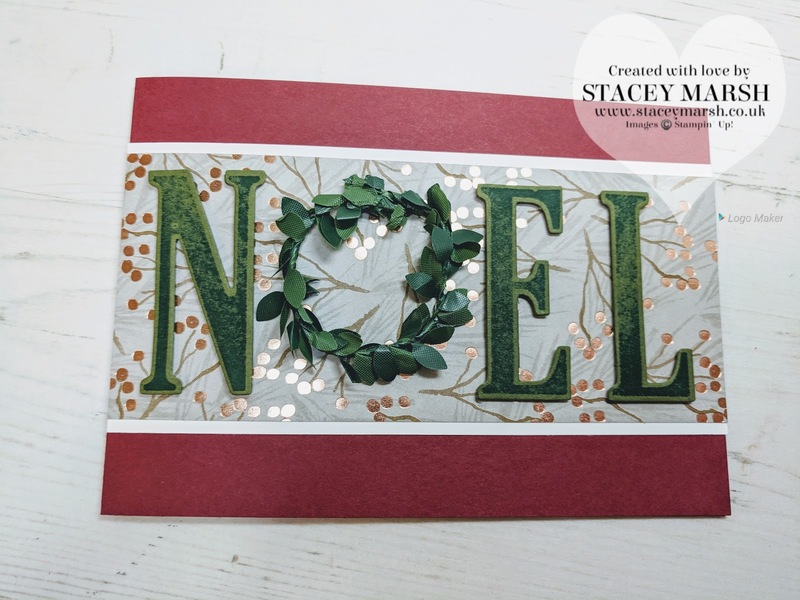 This card has been put together using a standard C6 Card Base in Cherry Cobbler Cardstock and features the Joyous Noel Speciality Designer Series Papers that have actually SOLD OUT of the Autumn/Winter product offering. I have used a simple strip of the DSP as the background and created the letters using the Letters for You Stamp Set and matching Large Letters Framelits Dies.